ARTIST STATEMENT: I love paper. I love cutting, pasting, touching paper. (I hope reading that sentence gives you the urge to touch some paper—any paper.) This blank material we use as the foundation for our stories, paintings, drawings, memories, and dreams, is full of creative potential. As a cut paper, collage, and comix artist, I draw attention to the dynamic possibilities of paper by suggesting images and story through shapes, layers, and textures. In taking up primarily discarded materials (the morning newspaper, gift-wrap, maps, advertisements) and renewing and transforming them through paper-making and collage techniques, my work explores themes of loss (of life, land, language, identity, habitat) and how we might reframe that loss through acts of cutting, pasting, touching. 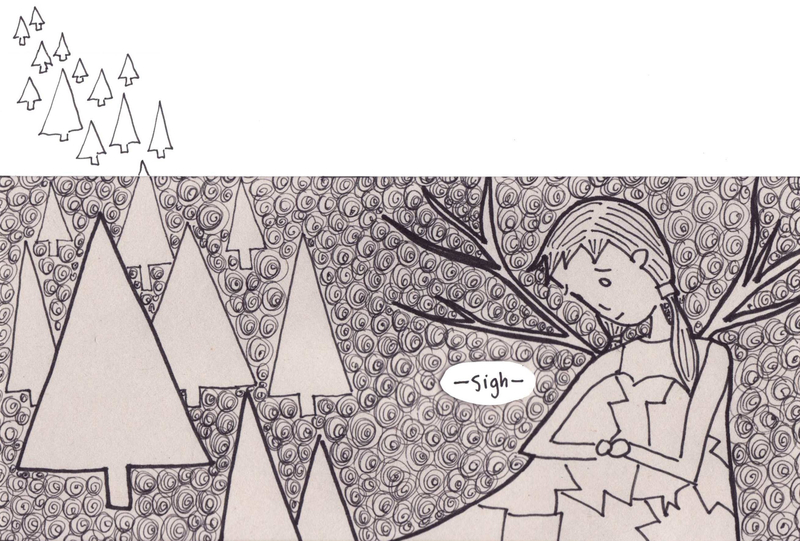 2017 In Between: Poetry Comics by Mita Mahato, Pleiades Press (Kathryn Nuernberger, Ed). 2013 “Cancer,” Drunken Boat Literary Arts Journal no. 17.